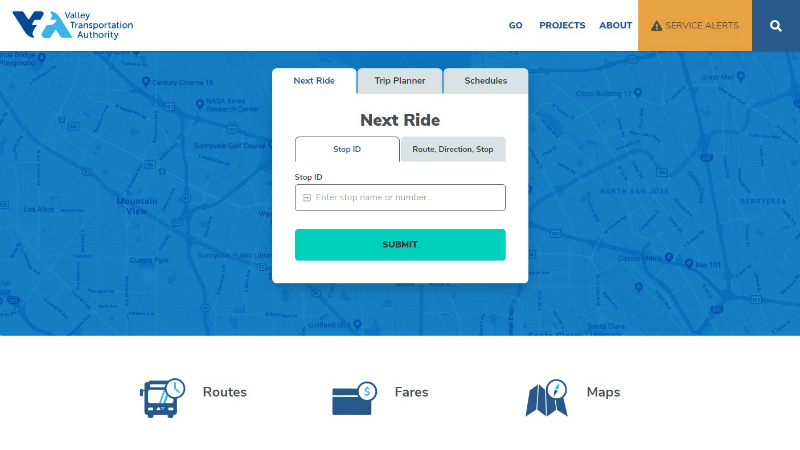 Based on user feedback, we’ve added projects to the redesigned VTA.org beta site and improved the transit trip planning features. The site is still a work in progress, and your ongoing feedback is important. Visit beta.vta.org and use the short survey or feedback buttons to tell us what you think. We’re focusing first on the most heavily used parts of the website, based on user input and web traffic data. We’ll be adding much more over the coming weeks and months. VTA.org hosts information about transit service, projects, programs, governance, employment, and more. Our strategy is user-centered and data-driven. Our design decisions will continue to be focused on the needs of real users—like you! For example, our usability testing and early beta testing feedback showed that the Trip Planner and Real Time features on the homepage needed some work. We hope you find the update more intuitive and easy.